"We African women are strong." 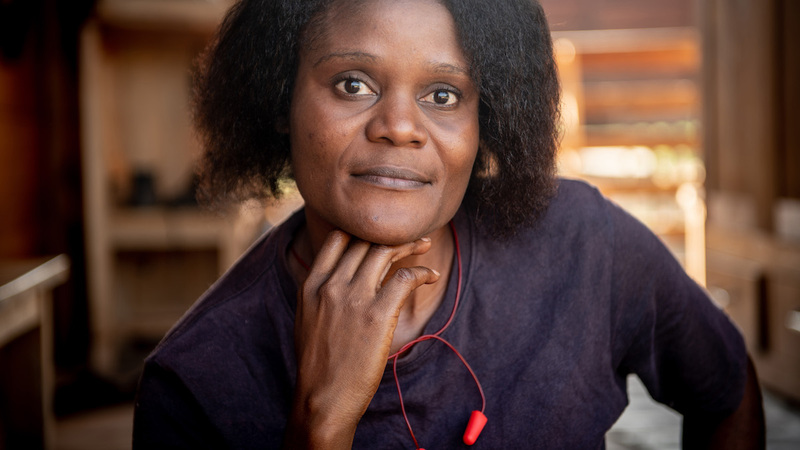 Eudoxie is raising her family in one of Precious Woods CEB’s beautiful wooden homes for workers. Her children are seven and 13 years old. Currently, around 700 workers like Eudoxie are living here with their families. Besides housing, they are offered free day care and a local school for the kids. Surrounding their community is the lush FSC-certified Gabonese rainforest where you’ll come across a colourful variety of animal life, and if you are lucky, even elephants. Eudoxie is 35 years old and has been working at the FSC-certified workshop for the last three years. It’s located a good 10 minutes walk from her home, just up the hill. To her, the job is not just about income; here she believes she is offered a better life for her and her family.